Gwytherin is one of the ancient parishes of Denbighshire; and has been described as "remote and mountainous". It is divided into two townships, Is-llan and Uwch-llan. At one time, there were two other townships, Pennant and Cornwal. According to legend, St. Winifred, after leaving Holywell, became Abbess of a convent at Gwytherin. The original church appears to have been founded by St. Eleri. It was re-built at some early period, and re-dedicated in the name of St. James. This building eventually became very dilapidated, and was taken down in 1867. 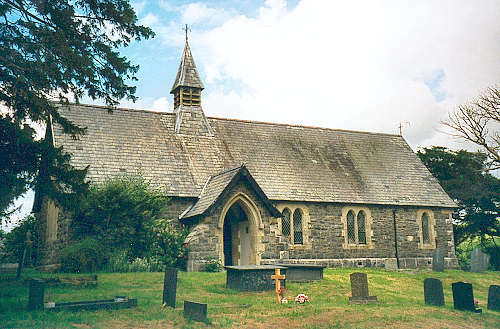 The new church, which was consecrated on 3 June 1869, was dedicated to St. Winifred. St. Winifred's church closed in 2005, and is now a Historic Centre and Creative Arts Studio. For family history information about the church and parish, visit the GENUKI Gwytherin page.